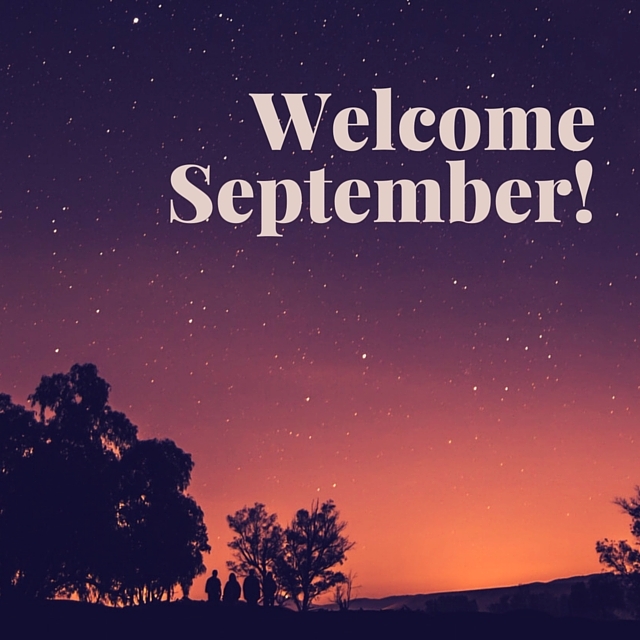 Goodbye August and Hello September! I’m SO ready for summer to be over as I’m sick of running in the hear and humidty. Even though September starts today, we’re experiencing a mini heat wave here in CT. Temperatures are in the 90’s all week with high humidity – bummer 🙁 I love September because that means Fall is near – I can see much cooler runs on the horizon! Let’s review my August goals and then discuss September goals! GOAL: Get in 10,000 steps daily. This did not happen. I have an office job so I rarely get steps in during the day. On non-running days I usually take some sort of strength training class and I’m able to get in around 5,000-6,000 steps. In the beginning of the month, I found myself running on non-running days just to get in the steps. I didn’t want to keep running “junk miles” (running just to run) and tiring out my legs. What I can say is that when I averged out my steps for the month, it was around 13,152 steps per day and 2 hours of activity per day. Some days will be high activity and some days will be low activity, but I’m okay with that average. GOAL: Run 100 miles this month. 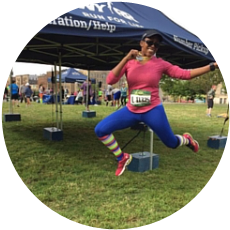 I surpassed this goal by running 115 miles in August – my highest month ever! In order to hit my goal of 1,007.5 miles this year, I’ll need to average 113 miles per month. I can do this I can do this I can do this! GOAL: Launch Black Girls Run! Stamford. This is going SO well so far! We meet three times a week for group runs. This group has runners of all levels and we’re planning on doing a local 5K race at the end of the month. Alright, so now on to September goals! Run 113 miles this month. Oh boy, this is daunting but I know I can do it! This number would have been lower if I wasn’t so lazy in February (where I clocked a whopping 36.5 miles) Sigh. I’m paying for that mistake now! Complete all September races. I’ve been dealing with some knee and hamstring pain. It’s gotten a little better over the last few days but neither injury is 100% healed. I’ve got 4 races in September so I’m keeping my fingers crossed that all goes well! Start logging back-to-back 9 and 13 mile runs on the weekend. I’m doing the Hat Trick at the Runner’s World Festival in mid-October. I HAVE to get in some experience with doing these types of runs. The hat trick is a 5K and 10K one day and then half-marathon the following day. I need to get my legs ready for this so I dont crash and burn during the race weekend. Better nutrition. Hey, we all fall off the wagon once and a while, right? I’ve really got to do better at meal prepping and making smart choices, especially after long runs or a hard workout. Sure, I want to eat #allthefood and pizza always looks appetizing, but it’s just not smart. How did you do in August? Do you have any September goals? Just a reminder that today is the LAST day to enter my Freekeh Giveaway! August ended on a positive note for me, so I'm happy about that. Now that the weather should be cooling down, I expect to stay confident with my marathon training. I hope! I sure hope so! I'm so over the heat and humidity! So yeah. My goals are my BIG training runs as I prep for Chicago marathon. To continue to get more sleep. And inspire, teach, and train with my heart. Congrats on your mileage month PR! That is awesome, you SO got this!!! I am doing the challenge too and need to keep stepping it up to make sure I reach the goal! Thanks! so happy to know you are doing the challenge also. That's so encouraging! How awesome! A mileage PR! Awesome! I hope your knee and hamstring feels better! Ugh, I am working on my nutrition too. I always feel like I fall off the nutrition train! It's so easy to fall off the wagon, especially in the summer.r I'm slowly working my way back!